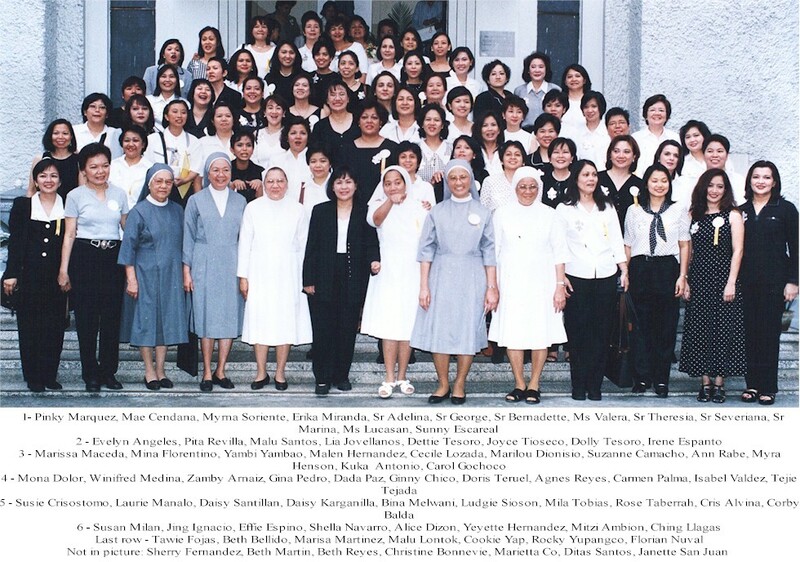 SPCM High School Grand Alumnae Homecoming! 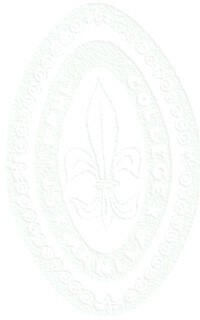 SPCM Fleur-de-lis Auditorium, 30 Jan 2000. For all your travel needs! Contact our classmate Albina Mona Dolor Leveriza (pricewatch@abacus.com.ph) for friendly, professional service -- all the time! A complete line of fine beauty products. Experience the difference... try them today! Pinky Marquez -- our consultant! JUST LIKE OLD TIMES...the reunited SPCM-Ateneo de Manila HS Glee Club of 1972-75...giving it their all and HAVING FUN! Below: Mae Cendana, Raffy Kaluag, Blitz Padua, Mari Maravillas, Popot Lorenzana (ADM HS Glee Club Pres), Jess Lantin. 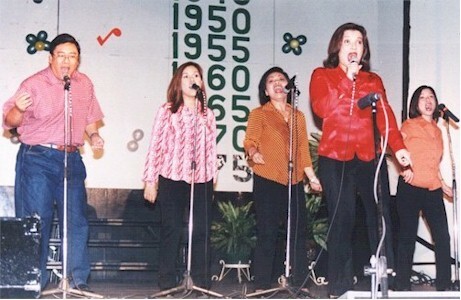 Left: Carina Carpio '76, Lui Galvez '76, Cris Alvina '75, Mae '75. Check out their reunion and rehearsal photos! 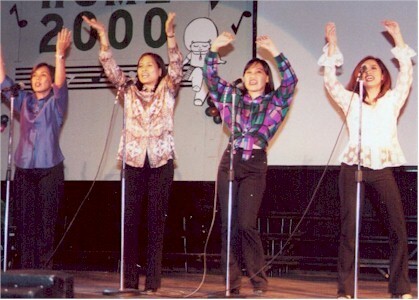 Coming Home 2000 -- Glee Club Performs! Kudos from '70s ADM HS Glee Club prez, Popot Lorenzana...here! 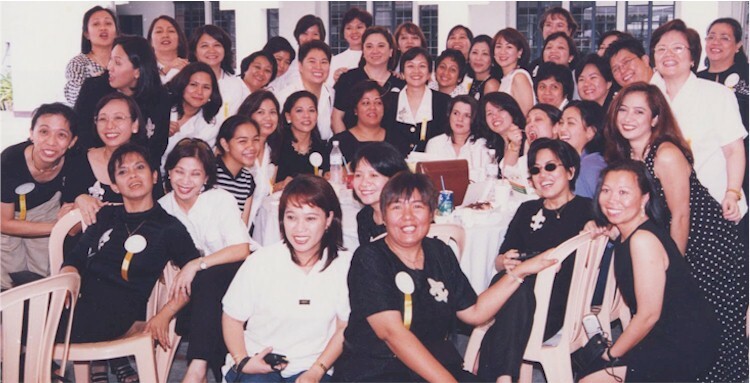 SPCM - Ateneo HS Glee Club reunion and rehearsals...photos! SPCM HS'75 On Stage...pages 1, 2! Press releases! Scoop! Group photo singles...pages 1 (with attendee list), 2, 3! Quadrangle photos...pages 1, 2! At the chapel!